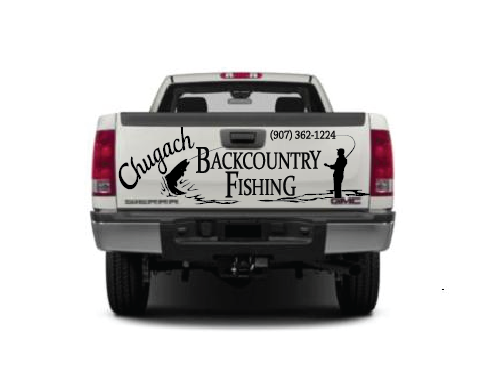 I was very pleased (to say the least) to make a roadside sign for Chugach Backcountry Fishing, the coolest guiding business that I know, operating out of Moose Pass and Cooper Landing, Alaska. Look for it along the Seward Highway, just past the turnoff to Soldotna, and if you have a chance, do go out fishing with Corey (you’ll have an amazing time). 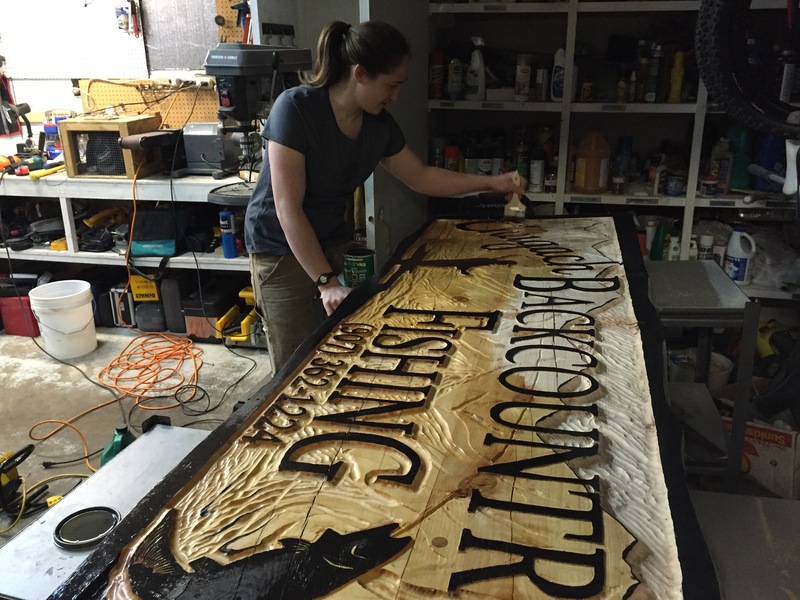 The sign is routered, painted, and varnished by hand. It was fun to pick up a router again after making trail signs for the Forest Service in Moose Pass. This one, of course, was much larger. Afterwards, I tweaked the design to go on the tailgate of his truck.